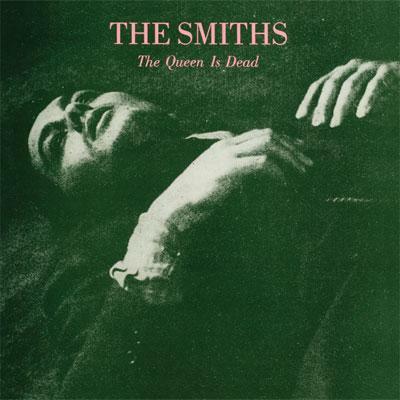 Recorded in the winter of 1985, ‘The Queen Is Dead’ is widely cited by critics as The Smiths’ best studio album, even if its creators don’t think so. There’s drama, wit and pain throughout its thirty-seven minutes, capturing singer Morrissey at odds with label Rough Trade and guitar god Johnny Marr unsure of his own and the band’s long-term health. Despite building a strong and passionate fan base following the release of their eponymous debut album and follow-up ‘Meat Is Murder’, not all was going to plan. Without a manager, The Smiths looked to Marr for direction and energy, with the guitarist frequently falling ill due to stress and exhaustion, while bassist Andy Rourke was briefly kicked out of the band as his heroin habit threatened to interfere with his playing. Marr wrote ‘The Queen Is Dead’ during tour sound checks in early 1985, using Rourke and drummer Mike Joyce to bash the songs into shape. The album was recorded at studios in London and Surrey, with Morrissey as usual adding vocals once tracks had been completed. It proved to be the band’s last album with Rough Trade (a legal dispute with the label delayed the release for six months) and the group eventually packed their bags and headed for EMI for what would be their final studio album, ‘Strangeways, Here We Come’. Upon ‘The Queen Is Dead’’s release in June 1986, Britain was peering towards the end of a second term of Thatcher’s Tory government; privatisation was in full swing and the miners’ strike of ’84-’85 was still fresh in the minds of voters. 1985’s Live Aid concert had pushed rock firmly towards the middle classes, with the opinionated Morrissey struggling to impose himself in a mainstream rock world made up of self-preserving egotists like Bono and Bob Geldof. Which reminds us, ‘The Queen Is Dead’ is apparently Dave Cameron’s favourite album of all time, despite both Morrissey and Marr’s recent protestations. The title track is a raucous, thrilling opener, Marr’s wah-wah guitar borrowing from the gnarled riffing of MC5’s Wayne Kramer, while Morrissey delivers barbed attacks to the British monarchy. The exquisite ‘Frankly, Mr. Shankly’ pokes fun at label boss Geoff Travis via a strongly worded resignation letter, while the bare, climatic ‘I Know It’s Over’ remains one of Morrissey’s best ever recorded performances. The Keats, Yeats and Wilde referencing ‘Cemetry Gates’ sees Moz stick two fingers up at critics opposed to his appropriation of literary heroes (a Wilde quote, “Talent borrows, genius steals”, was etched in the vinyl run-out grooves of single ‘Bigmouth Strikes Again’) while ‘Vicar In A Tutu’ is barmy but oddly brilliant. ‘Bigmouth’’s brash Stones-esque rock and sharp guitar lines still sound vital today, while ‘There Is a Light That Never Goes Out’ and ‘The Boy With The Thorn In His Side’ are flawless, timeless pop songs that will never fade. Finale ‘Some Girls Are Bigger Than Others’ is one of Marr’s finest ever compositions, but Morrissey’s bawdy Carry On-referencing lyrics end the album on an odd note. ‘The Queen Is Dead’ is an album to lose yourself in; it has depth, focus and some great tunes. It’s easy to see why the album is held in such high esteem by Smiths fanatics and why, a decade later, it became a key influence for all things Britpop.